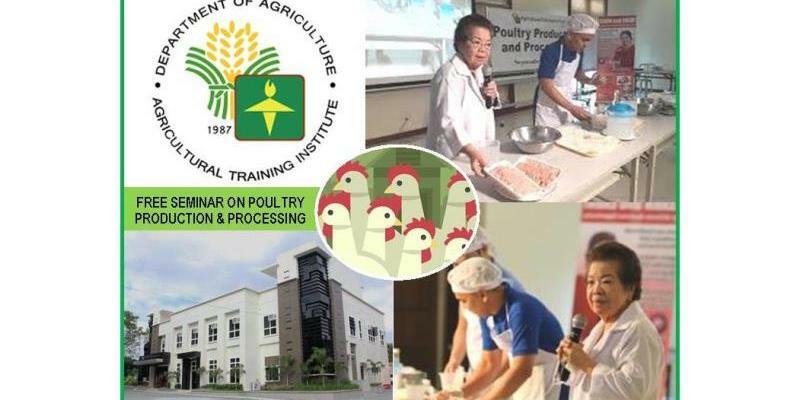 The Agricultural Training Institute (ATI) will conduct a Free Seminar on Poultry Production and Processing. The activity aims to cater to the needs of walk-in prtners to gain knowledge on different agricultural technologies through lectures, demonstration and hands-on exercises. Venue: ATI RDEC, ATI Compound, Elliptical Road, Diliman, Quezon City. For further information, feel free to contact Ms. Mafel Myda Y. Gonzales.